St Michael's Hospice in Herefordshire, UK has uploaded the following video to their Facebook page. When Daniel Radcliffe heard about the exceptional care the Herefordshire Hospice at Home team gave to his close friend's grandmother, Rachel Smith, he was so inspired that he paid this tribute to all the care staff working at St Michael's Hospice. 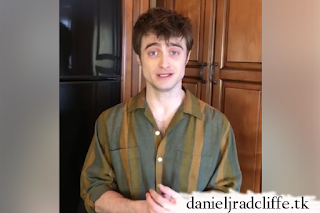 Thank you, Daniel, for your kind words.